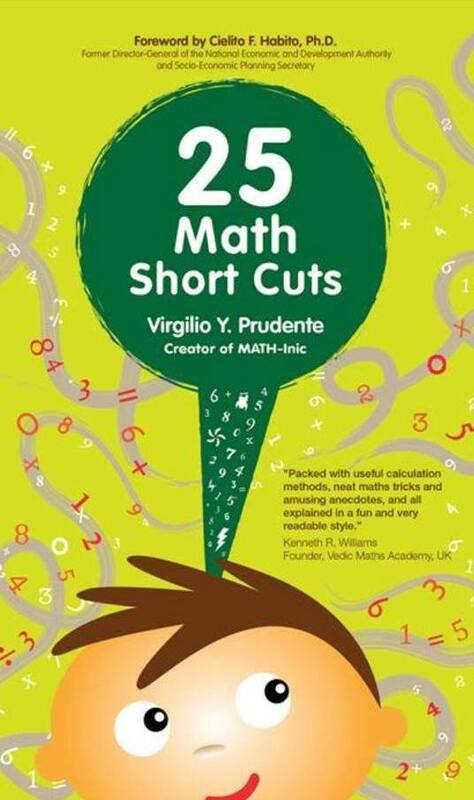 In celebration of MSC’s 25th foundation day, Virgilio “Ike”Prudente , President of VYP MSC Institute of Technology, is launching his book, 25 Math Short Cuts. 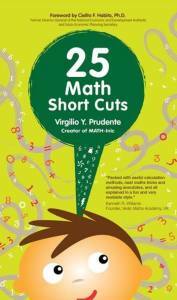 25 Math Short Cuts is a compilation of the short cuts published in our 25 MSC newsletter. Those shortcuts will show that most calculations can be done mentally. The foreword was written by former Economic Planning Secretary and Director-General Cielito Habito, PhD. Many children nowadays avoid Math. Some even hate Math. With this book, Sir Ike hopes to turn those Math Haters into Math Lovers. You can purchase the book for you or your children, and it is a perfect gift this Christmas. Contact Virgilio Prudente or the MATH-Inic/MSC office for your orders. This entry was posted in Events, MATH-Inic, MSC, Projects and tagged 25 math short cuts, 25 MSC, Albert Saul, Bobby Castro, Cielito Habito PhD, Emmanuel Nadela, Ferdinand Golez, Hermogenes Esperon, Isaac Pitcairn Yap, Kenneth Williams, Malou Orijola, Math short cuts, MATH-Inic, mathematics, memory techniques, Michael Tan PhD, Rex Aurelius Robielos, Rey Vea, Romeo Fule on December 3, 2014 by Jose Adonis Duma.